February: Phoenix marked the entry of Phoenix North American Channel into the Canadian market with a reception in Vancouver. 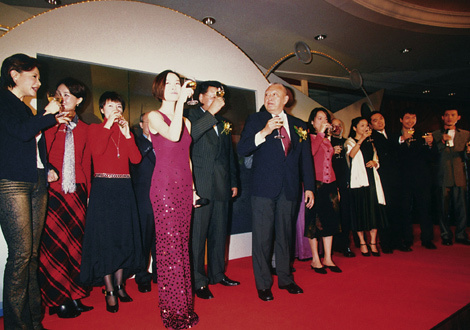 March: The tenth anniversary of Phoenix was celebrated in spectacular style at the Hong Kong AsiaWorld-Expo and attended by a wide array of political figures and celebrities. May: Phoenix reached an agreement with Quincy Jones, the famous American jazz musician and composer, to work together on a number of creative projects. 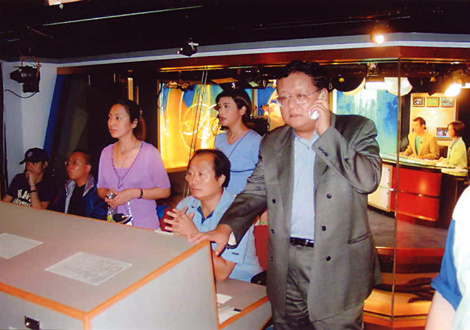 July: Phoenix mounted an exhibition illustrating key events in its first decade of operations at the Beijing Capital Museum to mark its tenth anniversary and the Chinese Foreign Minister Li Zhaoxing was among those who attended. Phoenix dispatched a team of reporters to Lebanon after the Israeli invasion of southern Lebanon to cover the fighting and the impact of the conflict on the region. October: Phoenix staged a performance in Beijing by the world-famous, U.S.-based Chinese classical pianist Lang Lang. The final of the Phoenix Miss Chinese Cosmos pageant was held in the Hong Kong AsiaWorld-Expo on 28 October. November: Chairman and CEO of Phoenix Liu Changle co-chaired the International Emmy Awards Gala in New York. The evening was attended by many famous film and television figures, including the renowned director Stephen Spielberg. 18 - 25 August: Phoenix reported at length on “A Peaceful Mission – 2005”, a joint military exercise involving both Russian and Chinese military forces. 19 - 30 September: At the invitation of Phoenix’s Chairman and CEO, Mr. Liu Changle, JP, and the famous Taiwan scholar, writer and political figure Li Ao undertook a twelve-day cultural visit to China, during which he addressed universities in Beijing and Shanghai. 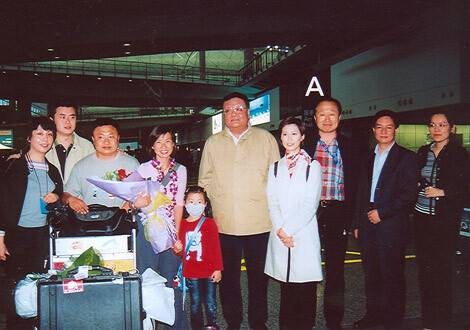 This was Li Ao’s first visit to the mainland since his departure 56 years earlier. 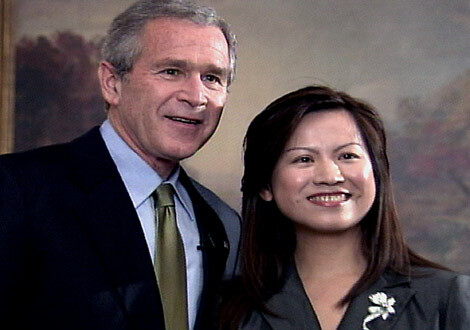 8 November: Phoenix was the only Chinese Broadcaster to have the personal interview with the United States President George Bush before he visited China, Japan, Korea and Mongolia. 21 - 23 November: The Chairman and CEO of Phoenix, Mr. Liu Changle, JP, served as the Chairman of the International Emmy Awards ceremony in New York. 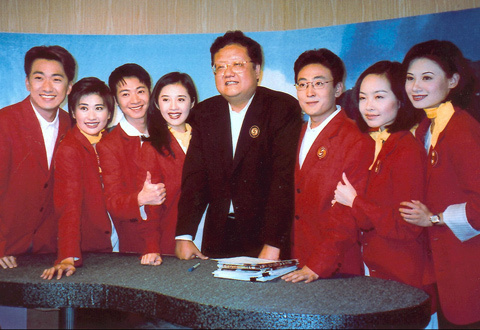 25 November: Phoenix became the first international Chinese-language television broadcaster to gain the approval of the Canadian Radio-television and Telecommunications Commission to broadcast in Canada. 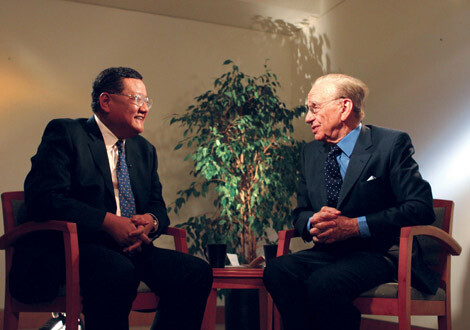 March: Mr. Liu Changle, JP, and Rupert Murdoch, the founders of the original joint venture company that established Phoenix Television, took part in a televised dialogue in Los Angeles to mark Phoenix’s eighth anniversary and discuss their respective approaches to the global media business. 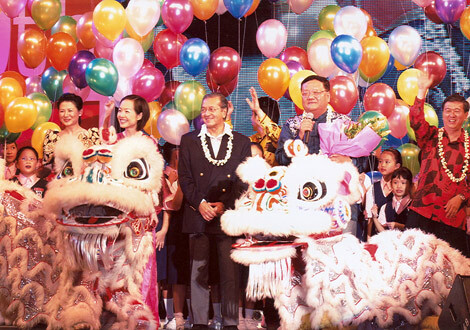 April: Phoenix held its Eighth Anniversary Celebration in Kuala Lumpur, where the former Malaysian Prime Minister Dr Mahathir was the guest of honour. August: Phoenix infoNews began to broadcast over the SMATV system in Hong Kong, the first step in process of enlarging the Phoenix footprint in Hong Kong as, over the following months, Phoenix channels became available on PCCW’s now TV, iCable, Galaxy TV, and Broadband TV. 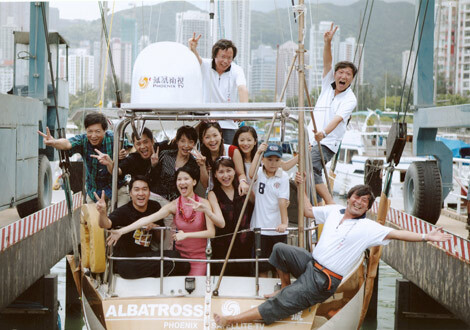 The yacht Albatross, renamed the Phoenix in Chinese, received a rousing welcome in Malaysia, as it made its way to Kenya, following the course taken by the Ming Dynasty Chinese admiral, Cheng He, who sailed from China to Africa. 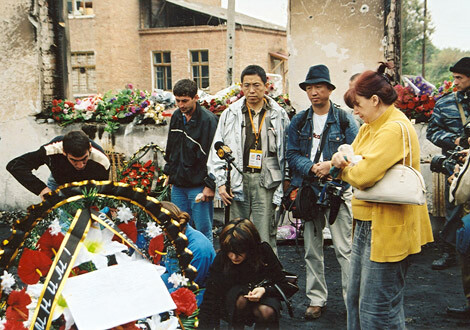 September: Moscow-based Phoenix reporter Lu Yuguang caught the attention of the global Chinese television audience by his reporting on the Bislan, massacre in southern Russia. Phoenix infoNews began to broadcast in North America on a direct-to-home television system. 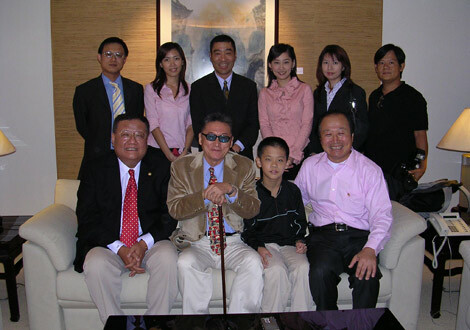 Former State Councilor Qian Qichen attended the opening ceremony in New York. 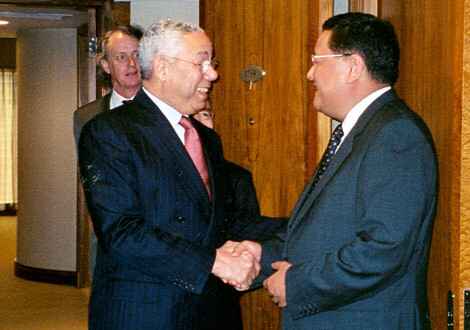 October: The United States Secretary of State Colin Powell was interviewed by Phoenix’s chief commentator Anthony Yuen in Beijing during the course of an official visit to China just days before the United States Presidential election. United Nations Secretary General, Kofi Annan, was interviewed by Anthony Yuen during the Global AIDS summit in Bangkok. November: The final of the Miss Chinese Cosmos beauty pageant was held in Hong Kong, with the three top place getters coming from Malaysia, Canada, and Beijing. The Chairman and CEO of Phoenix, Liu Changle, was appointed the Chairman of the international Committee of the international Television Academy, which sponsors the international Emmy awards as a way to encourage excellence in television broadcasting. January: The State Administration for Radio, Film and Television (SARFT) in China, granted Phoenix infoNews landing rights, earlier given to other foreign media broadcaster. This makes it the first foreign Chinese-language news channel to receive official approval to broadcast in Mainland. February: A ceremony in Beijing launched A Passage to Africa, one of the biggest television events showcased by Chinese-language media organizations. 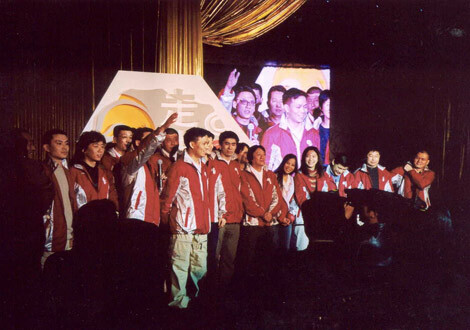 A joint venture by Phoenix and CCTV, the travelogue-style show explored large parts of the ‘dark’ continent. The Phoenix reporter Rose Luqiu, and cameraman Cai Xiaojiang, risked the dangers of war to enter Baghdad on 24March, and the first Chinese media team to enter the Iraqi capital after it became a war zone. May: Phoenix dispatched a strong twenty-member team led by Rose Luqiu, Zheng Hao and Liu Hairuo to report first hand on the flight against SARS in the hospitals, schools, factories and residential areas of Beijing. 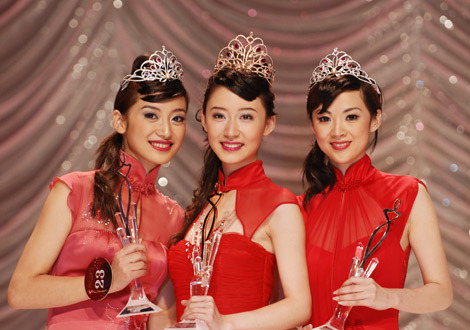 November: The first Miss Chinese Cosmos pageant final was held in Hong Kong. February: Phoenix served as the main media planner for the transportation of the “The Buddha’s Finger’ from the Famen Temple in Shaanxi, where it is housed, to Tai wan. Classified by UNESCO as one of the nine wonders of the world, the sacred relic was put on display and worshipped by large numbers of Buddhist devotees. March: Phoenix InfoNews Channel became available in Japan via the RakuRaku China Channel. April: When Mr Xu Guangchun, Head of the State Administration of Radio, Film and Television, visited Phoenix CNE Channel in London, he commented that Phoenix has developed an excellent international image and set a good example for its counterparts in China. 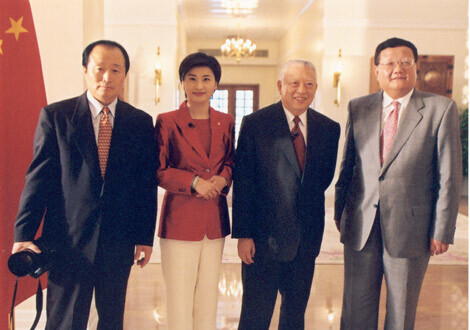 June: At the fifth anniversary celebrations of Hong Kong’s return to China, the Chief Executive of the Hong Kong Special Administrative Region, C H Tung, received a Phoenix delegation led by Chairman and Chief Executive, Liu Changle and Executive Vice President, Wang Jiyan. Ms. Sally Wu, a celebrated Phoenix presenter, interviewed Mr. C H Tung on the occasion. July: Phoenix North America Chinese Channel and Phoenix Chinese News and Entertainment Channel (Europe), began to broadcast a single, unified signal. 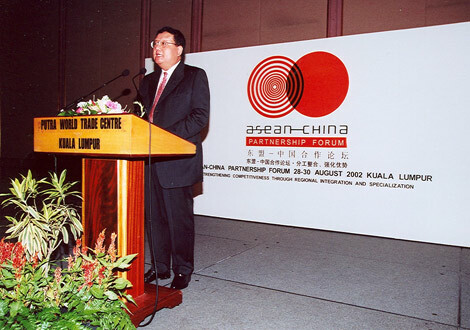 August: At the “ASEAN- China Forum” in Kuala Lumpur, the Chairman and CEO of Phoenix, Mr. Liu Changle, gave an address titled “ASEAN, China and the Role of Media”. October: Phoenix reported live on the hostage crisis in Moscow. 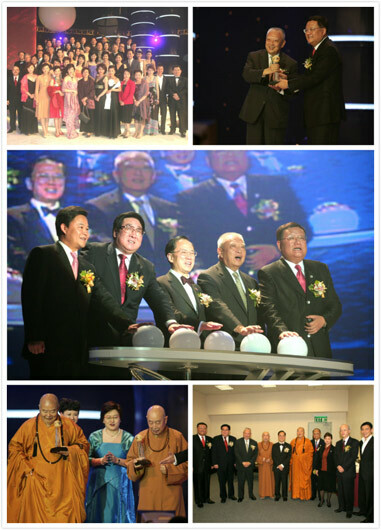 November: At the 16th World Congress of Accountants, held in Hong Kong and attended by the Chinese Premier, Mr. Zhu Rongji, Phoenix was the sole, accredited media organization to broadcast the opening ceremony Live, and also fielded the comperes and masters of ceremony for the conference. January: Phoenix InfoNews Channel and Phoenix North America Chinese Channel began operating, giving Phoenix the capacity to bring a constant flow of news to the global Chinese community and also extending its reach to North America. July: Phoenix produced a LIVE, 12-hour broadcast of the Olympics 2008 Bidding with direct links from Moscow and Beijing, during which the winning host city was announced. September: Phoenix broadcast 35 hours of LIVE, non-stop coverage following the 911 terrorist attacks on the USA, keeping Chinese audiences informed as events unfolded. Phoenix participated in the 6th International Chinese Entrepreneur Convention, and the 1st International Chinese Cultural Media Conference held in Nanjing. October: Samsung teams with Phoenix to sponsor the special pregramme on Beijing Olympics, ‘Samsung’s China Road to Olympics,’ which will be aired over the next three consecutive years. Phoenix Chinese Channel and Phoenix Movies Channel were granted official landing rights in the Pearl River Delta region by the State Administration of Radio, Film and Television. Phoenix teamed with CCTV to produce the major television series Pole to Pole Expedition. An ambitious documentary in which a team traveled from the South to North Pole, the programme highlighted countries it passed through and the stories of Chinese people and other along the journey. February – May: Phoenix reported extensively on the Taiwan election, including broadcasting live the inaugural address by Chen Shui-bian. 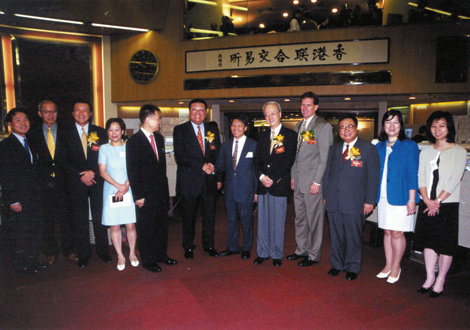 30 June: Phoenix Satellite Television held an IPO on the GEM Board of the Hong Kong Stock Exchange. 1 November: Phoenix signed an agreement with the main Malaysian DTH broadcaster, ASTRO, making Phoenix available to more than six million Malaysian Chinese. 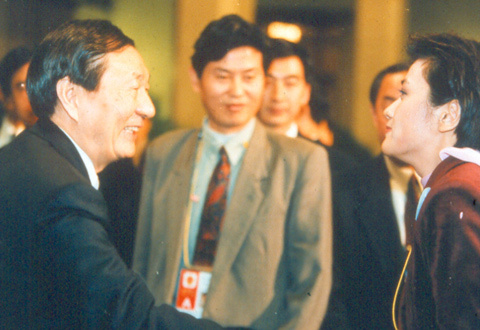 23 June – 3 July : Phoenix provided live coverage of the visit to China by former U.S. President Clinton and the press conference of former President Jiang Zemin and Clinton. 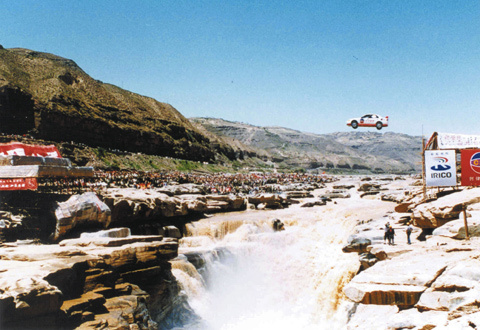 1 June: Phoenix sponsored and staged “Leaping the Yellow River”, in which the dare-devil driver from Taiwan, Ke Shouliang, drove his motor car in a spectacular leap across the Yellow River. 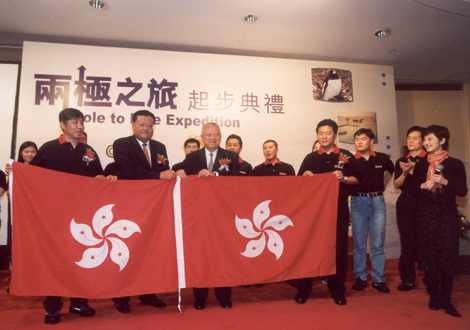 30 June – 2 July: For sixty hours Phoenix provided detailed and multi-faceted news coverage of the ceremonies surrounding the handover of Hong Kong’s sovereignty to the People’s Republic of China. 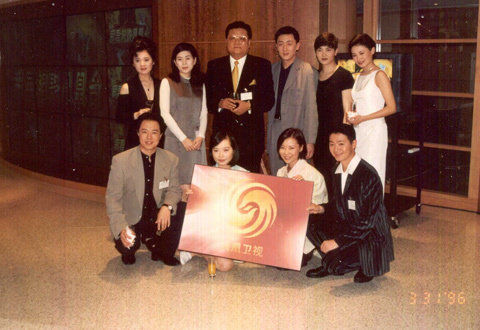 31 March: Phoenix Chinese Channel began broadcasting.